After missing out on the chance to sign cornerback Ronald Darby, the Chiefs have added a different cornerback to the team in Bashaud Breeland. Breeland and the Chiefs have agreed to a one year deal that is incentive laden. Breeland can make a maximum value of $5 million in 2019. Breeland’s name may sound familiar to Kansas City Chiefs fans. Last year in training camp, Breeland visited the Chiefs and was even on the field talking with coaches during training camp practice. However after all the good signs pointing towards a possible signing with KC, Breeland and the Chiefs never agreed on anything and he moved on. In the fourth round of the 2014 NFL Draft, Breeland was selected by Washington. With that team, his brilliance flashed when he needed to make plays as developed his skills. Breeland was able to break out as a cornerback who limited receivers to very little production. When in Washington, the Redskins had built a nice young core of defensive backs around Breeland. He will now rejoin Kendall Fuller, who also had an early breakout with Washington. Despite steady production (58 career starts, playing at least 14 games every year and 8 interceptions) they did not re-sign him last year in free agency. It looked as if he had cashed in with a really nice deal last offseason. However, his brand new three year/$24 million deal with the Carolina Panthers was voided. How? In a weird situation, Breeland had a cut on his foot that later became infected. This cut was suffered on an offseason vacation trip. So after a freak thing, he never played with Carolina and was a free agent again. With no agreement with the Chiefs despite that aforementioned visit, Breeland was still unsigned as the 2018 NFL regular season began. Eventually in late September, the Green Bay Packers signed him after having to place another defender on injured reserve. He missed several games after the signing, due to having to learn the playbook. Breeland would also suffer a groin injury that would force him to miss a couple of games. So, he only got to play for the Packers in seven games (five starts). While healthy, Breeland performed well by making 20 tackles, 4 passes defensed and 2 interceptions. After looking like he could have been a Chief last year, Breeland officially will be wearing the red and gold this season. This deal is a win-win for both the team and player. Breeland gets to prove himself after a year where things went unexpectedly for him. He’s also only 27 years old and still in his prime. For the Chiefs, they make an addition at cornerback that was a need after Steven Nelson left to the Steelers in free agency. A player like this competing/starting for them may help them win games this year and can help develop the younger cornerbacks as well. Thank you for reading. 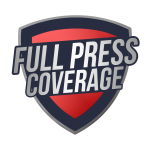 Be sure to stay connected to Full Press Coverage for up to date NFL news.